Steen - TripImprover - Get More out of Your Museum Visits! Who is Steen? 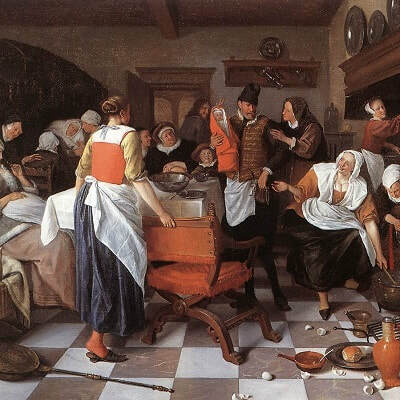 Jan Havickszoon Steen was born in Leiden, The Netherlands, in 1626, and also died there in 1679. He lived during the same time as Rembrandt. 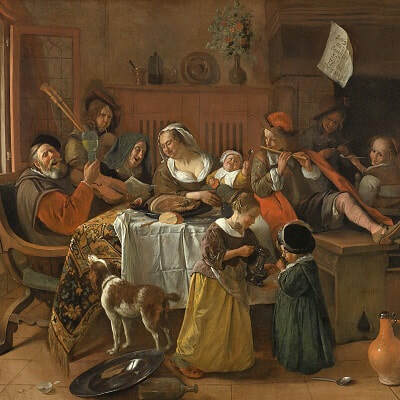 Steen came from a family of brewers, which may explain the abundance of alcohol in some of his paintings. He is also known to drink quite a bit himself. He is considered a genre painter as he often depicted scenes from everyday life. However, he has also created some paintings with biblical, mythological, and historical themes. He often incorporated some humor in his paintings, is known for his colorful paintings, and his works were appreciated by his contemporaries. 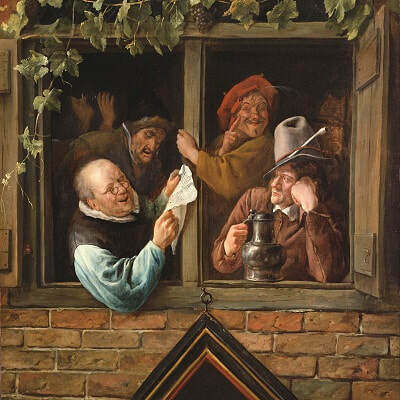 Steen created many paintings during his life and over 300 of them have survived..